After spending time around perfectly "put together" people, I start to crave something more earthy and real. On Saturday, I walked down to the perfect little village in Mountain Brook to get some coffee. Everyone was beautiful and well dressed. 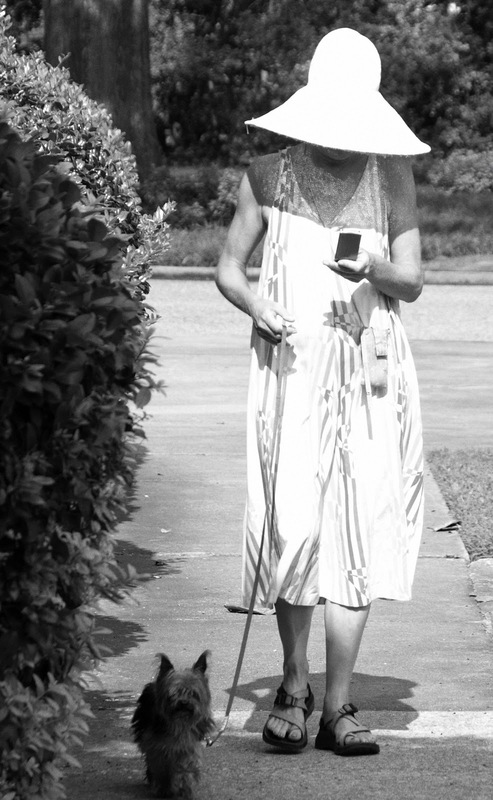 As I was walking back to my friend's apartment, I spotted this woman walking her dog in what appeared to be her night gown/dressing gown/house gown - I don't know what you would call it. 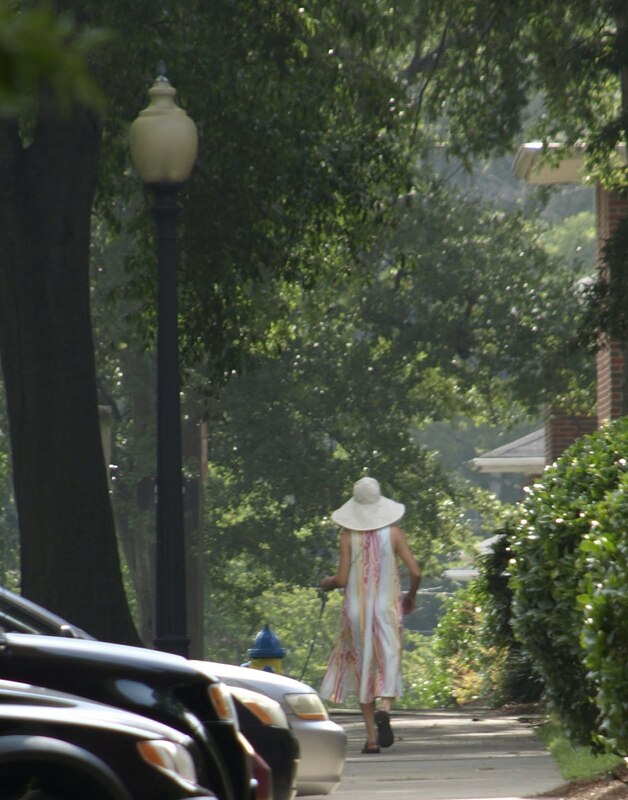 But I was immediately drawn to her huge hat that allowed her to walk around completely incognito. It added a bit of elegance to what could have been a throw away time of day. And the stripes on the gown are bright and flowy. She looked chic walking among the huge oak trees in her "real life" style. Love the 1st picture in black and white!So stylish!